The Sony Xperia S marks Sonyâ€™s entrance as an independent entity into the android smartphone market. The Xperia S is marketed as a high-end android phone, targetting those of us who like the latest and best in technology. 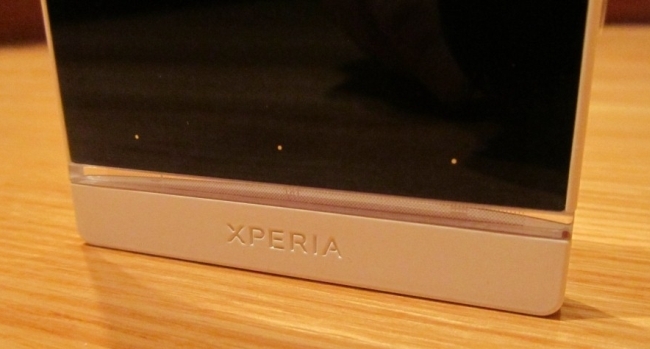 You can get your hands onÂ theÂ Xperia S for around Â£379.99.The question is, does it deliver? You can read our thoughts on this phone below. In many ways the Xperia S is the successor to the Xperia Arc and Arc S phones from what was then Sony Ericsson. You can feel the â€œXperia-nessâ€ throughout the whole phone, although the hardware is fairly different to its predecessor. 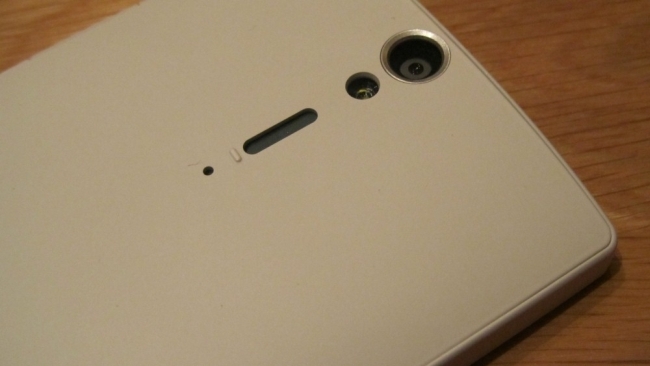 Sony have certainly taken the Xperia image and ran with it. As a fan of the design and feel of the Xperia Arc phones, especially with regards to the curvature of the body, I have to say Iâ€™m slightly disappointed with the build of the Xperia S. The Arc always felt premium to me, whereas the S has an air of... cheapness to it. But Iâ€™ll get into that in a second. First off let's have a look at the body. The top edge of the phone holds the power button and the 3.5mm headphone jack, both situated towards the left edge (while looking at the phone screen up). The power button is unmistakably plastic, and not the expensive type either. The left side holds the microUSB port. The port is hidden behind a plastic flap, the kind you see on other tech items, and is a bit fiddly to close once opened (but all flaps like these typically are). When closed the flap sits totally flush with the phone which is nice, it doesnâ€™t upset the sharp, straight lines Sony have gone with on this phone. The right hand side contains the microHDMI port, volume rocker and dedicated camera button. The microHDMI port is hidden behind the same type of plastic flap as the microUSB port described above, itâ€™s also directly parallel to that port. To begin with, I always got these two ports confused, even going so far as to attempt to place my microUSB cable into the HDMI port (it doesnâ€™t fit btw). You do get used to which is which over time Iâ€™m pleased to note! The volume rocker is made of the same cheapish plastic as the power button on the top of the phone. Another small complaint with the volume rocker is that it dips inwards, almost flush with the phone in the middle of the rocker, only reaching out at each end. This design choice makes it slightly fiddly to change the volume, you almost have to press on the very last bit of the rocker in order to press it correctly. This could be something you eventually get used to, but I havenâ€™t as of yet. The camera button is again made of that cheap (and frankly horrible) plastic material found on the volume rocker and power button. However, the button itself is easy to press, both half way down in order to focus as well as fully down to take a photo. More phones should really include a dedicated camera button like the Xperia S, it does add so much to your smartphone in my opinion. The bottom of the phone is fairly disinteresting, simply housing the mic. The back holds the impressive sounding 12MP camera and LED flash, as well as the speaker. The front of the phone is where all the cool stuff is though. The bottom of the phone holds the soft keys, included are back, home and a menu button. No soft search key here which is a shame. Underneath the capacitive buttons is a thin, transparent plastic strip. Inside this strip of plastic are icons displaying the function of the soft button directly above. The corresponding button is located via a small silver dot (this doesnâ€™t light up, itâ€™s simply a plain dot). This looks nice, but I canâ€™t count how many times Iâ€™ve gone to press the icon, instead of the actual capacitive button above. The plastic strip does light up however, helping you find the keys in low light, and it just looks pretty damn cool too. The plastic strip mentioned above lights up when you receive an incoming phone call, and although there is a notification LED towards the top left of the phone, I canâ€™t help but feel being able to set notifications to appear within the bar instead would have been a nice inclusion to this phone. The phone generally feels quite square and sharp. It has a nice curved shape to it that really helps when the phone is in your hand. With a 4.3â€ screen, this isnâ€™t the smallest phone in the world, and the harsh edges might make it uncomfortable to hold if you have small hands. For example, it feels quite a lot bigger than the Samsung Galaxy SII even though both of these phones share the same size screen. Itâ€™s a bit heavier than the Xperia Arc, weighing in at 144g as opposed to the 117g of the Arc. As a result the phone does feel quite sturdy. Personally I quite like the design of the phone, but it does look better than it feels. I feel itâ€™s let down by the cheapness of the buttons and the plastic casing Sony have selected. I know that just because a phone is made out of plastic, doesnâ€™t necessarily mean it feels cheap, but this one does, it certainly goes against the premium feel Sony was aiming for. You may have noticed the lack of a microSD card slot. The Xperia S doesnâ€™t come with expandable memory, but the included 32GB of internal storage space should suffice for the majority of users. The phone also doesnâ€™t have a removable battery, even though you can remove the back plate (which is strange...). Not an issue for me personally, but may put some of you off. The Xperia S has a premium 4.3â€ 720P display. Anything less nowadays probably doesnâ€™t deserve to be in the â€œpremiumâ€ bracket to be honest. The 1280x720 resolution gives a ppi of 342, what some of you may call a â€œretinaâ€ display. As a result both text and images appear super smooth on this phone. Sony have also included something they call the â€œMobile BRAVIA Engineâ€. Iâ€™m not really sure what this is, but it promises to enhance the image quality for photos and videos. To be fair, images do look clearer and brighter, blacks darker, colours more vibrant, etc with this option selected. So much as to make me wonder why Sony didnâ€™t just include this as the default and remove the option to change completely. I canâ€™t really see any use case where someone would want this turned off, unless you enjoy the more blander side of life..! The viewing angles of the screen are quite good, but not fantastic. You do lose some colour vibrancy the narrower you go, however I might just be spoilt by the HTC One X performance in this regard. I certainly wouldn't complain about the Xperia S here. One final thought, Sony have decided to not include an automatic brightness option in the S. If youâ€™ve owned a Sony Ericsson smartphone before, this might not come as a huge surprise to you, but itâ€™s something to note. As I donâ€™t tend to use this option anyway, the fact that it isnâ€™t here doesnâ€™t bother me personally, but lots of you might depend on this. The Xperia S comes with Gingerbread on board, admittedly a fairly latter version of Gingerbread, version 2.3.7, but Gingerbread nonetheless. Sony have made a pretty big mistake on this regard in my humble opinion. Almost big enough for me to scrap the rest of this review and tell you not to bother with this phone... Almost! There really is no reason for a phone aiming for the high-end of the market to be released with Gingerbread any more. It reeks of laziness from Sony, and as you can probably tell, makes me angry! Apart from the huge disaster mentioned above, things arenâ€™t all that terrible. Sony have mildly customised stock android with their own theme. Itâ€™s nowhere near as heavy as something like Sense (thankfully..), Iâ€™d compare this more to Touchwiz youâ€™d get on a Samsung phone. It isnâ€™t too intrusive, yet adds some nice additional functionality over stock Gingerbread that you otherwise wouldnâ€™t be getting. The lockscreen includes notifications for missed calls and SMS messages, a nice touch. Iâ€™m also a fan of the default Sony keyboard. It looks great and the autocorrect works really well. It also has a swype-like ability included. The swype finger trail is implemented really well too, its nice and smooth, much improved over the actual swype trail, it's a small detail, but it really helps. Sony have also included a theme changer. This essentially changes the basic colours used throughout the phone. There are seven different themes (or colours) you can select from, with my personal favourite being Silk (or in real terms... black). The dual-core 1.5GHz CPU inside is a powerhouse, and keeps things running along smoothly. Although I would have been happier with a quad-core phone from Sony, you really wonâ€™t find any stutter or slow down at all. I did have an issue with the capacitive keys, sometimes having to press two or even three times before it responded to my touch. This was an ongoing issue with my use of the phone too, it really became quite annoying. Iâ€™m not sure if this is a hardware issue, or if Sony can fix it via firmware. Past issues with capacitive keys on different phones have been fixed via software, so I hope this also follows suit. The phone is quite capable on the sound front. The loudspeaker is probably just what youâ€™d expect, not amazing, but not terrible. Where it does exceed is on the volume front. Sony have included what they call â€œxLoudâ€. Simply put, it increases the max volume of the phone, but not unfortunately not the quality. However, Iâ€™m impressed with just how loud this thing can get! 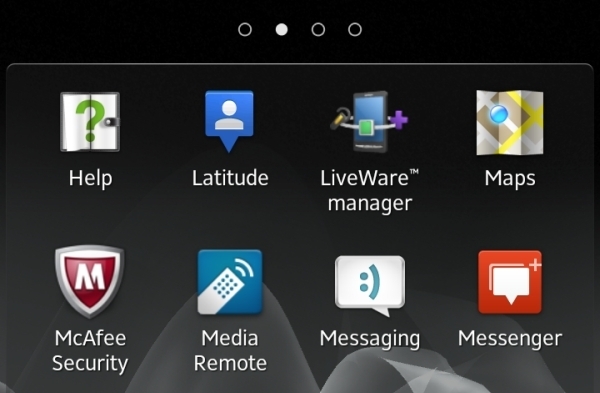 The phone comes with quite a few bundled apps, or â€œbloatwareâ€ as we at Droid-Den like to call them by. Now some of these are actually quite nice to have included, for example the Media Remote. Or they would be, if most of them weren't just shortcuts to actual apps on the android market.. The fact that they are just links is probably more annoying than if they were apps, but at least the internal storage space isnâ€™t depleted as a result (all clouds....etc). Having said all that, one thing that really did surprise me was that most, not all, but most of these bundled apps can actually be uninstalled! Thanks Sony, not a complete disaster! Sony are not exactly new to cameras, they make quite a few of their own, and their history with android isnâ€™t too shabby either (the original Xperia Arc had a pretty decent camera for its time). Theyâ€™ve continued this trend with the Xperia S. The 12MP camera is almost unheard of in the mobile world, but as we all know, MPâ€™s arenâ€™t the whole story. As mentioned earlier, the S has a dedicated camera button, that if pressed while the phone is locked can either take an instant photo, or launch the camera app (the choice is up to you). The button is also two-stage, middle pressure press focussing whilst a deep press takes the photo. The camera app itself is also customised from stock android. Thankfully, itâ€™s also different from the Xperia Arc (which had a great camera, but poor camera app). You can customise the set of four icons to the left of the screen, providing shortcuts to certain functions like scene or flash. Images turn out well, if a bit saturated, the colours could be more vibrant. However the general detail and quality of the images taken were excellent. I did have a bit of trouble with macro shots, the camera struggled to autofocus well on these, but when it the images again turned out well. I did notice that images taken with my rather shaky hand were corrected quite well with some auto post-shot processing, with the final stored image looking better than what I saw through the screen when the shot was taken. The video camera offers full 1080p recording at 30fps along with stereo sound. I found the video recording to be jerky at best. Videos only really turned out well when I was stood as still as possible, and moving the camera as slow and steady as I could, anything else was extremely jerky and not what you expect from 30fps video. Sony allows you to turn on the LED for low light recording, a nice additional feature. Although the phone doesnâ€™t come with ICS, Sony have included the ICS panorama mode, allowing you to sweep the camera from left to right whilst taking a video of the scene, which is then stitched together to create one long image. It works really well and Sony have done a good job including it. Sony have done a decent job with the Xperia S. It carries on the precedent set by the Xperia Arc whilst improving where necessary. However, I have a quite a few niggles with the phone that would stop me from purchasing it myself. First up is the cheap feeling materials used build the phone. It just doesnâ€™t feel as premium as it could, or should feel. The hardware issues like the capacitive keys sometimes not responding to touch is also annoying. Iâ€™d recommend this phone to those of you looking for a medium to high-end (not cutting edge) android smartphone that punches above its weight in terms of camera ability. Big thanks to our friends at Clove UK for giving us a chance to review the Sony Xperia S!